Platelet-rich plasma (PRP) is currently the most exploited strategy in the clinical practice to provide a regenerative stimulus for tendon healing. The aim of the present study was to systematically review the available evidence on the treatment of the main tendon disorders where PRP is currently applied. A systematic review of the literature was performed on the use of PRP as a treatment for tendinopathies focusing on the following sites: Achilles tendon, patellar tendon, rotator cuff tendons, and lateral elbow tendons. The following inclusion criteria for relevant articles were used: clinical trials written in English language up to 21 June 2016 on the use of PRP in the conservative or surgical treatment of the aforementioned tendinopathies. 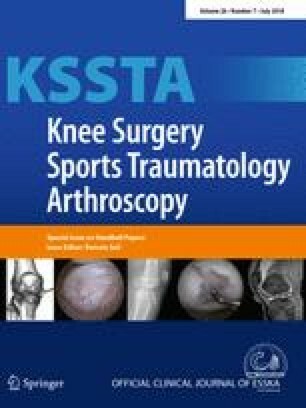 The research identified the following clinical trials dealing with the application of PRP in the selected tendons: 19 papers on patellar tendon (6 being RCTs: 4 dealing with PRP conservative application and 2 surgical), 24 papers on Achilles tendon (4 RCTs: 3 conservative and 1 surgical), 29 on lateral elbow tendons (17 RCTs, all conservative), and 32 on rotator cuff (22 RCTs: 18 surgical and 3 conservative). Patellar tendons seem to benefit from PRP injections, whereas in the Achilles tendon, PRP application is not indicated neither as a conservative approach nor as a surgical augmentation. Lateral elbow tendinopathy showed an improvement in most of the high-level studies, but the lack of proven superiority with respect to the more simple whole-blood injections still questions its use in the clinical practice. With regard to rotator cuff pathology, the vast majority of surgical RCTs documented a lack of beneficial effects, whereas there is still inconclusive evidence concerning its conservative application in rotator cuff disorders. Systematic review of level I–IV trials, Level IV. The online version of this article (doi: 10.1007/s00167-016-4261-4) contains supplementary material, which is available to authorized users. The present study was partially supported by PRRU (Emilia-Romagna Region/University of Bologna Project) 2010–2012. For this kind of study (systematic review of literature) formal consent is not required.